I like the shape of chandeliers. There seems something organic-looking about it. 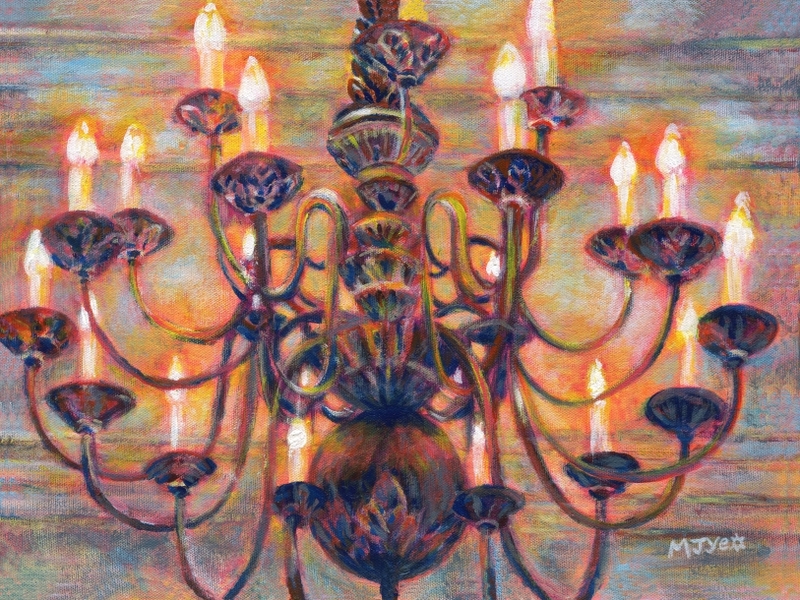 While painting it, I was daydreaming about being at a posh event in the sort of place that would have chandeliers, where you would have to dress glamorously. You might have a few glasses of wine and gaze up at the chandelier and feel the atmosphere created by its warm glow.